Yiannis Boutaris is the new Mayor of Thessaloniki. The second capital of Greece and the biggest city in Macedonia elected the most unlikely of Mayors. 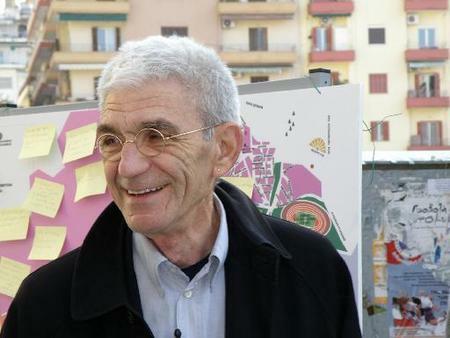 68 year old wine maker Yiannis Boutaris won the recent local elections by a short margin against all probabilities. Thessaloniki has been electing right wing mayors for more than fifteen years. Yiannis Boutaris is a left wing PASOK voter. He was attacked by the Thessaloniki archibishop Anthimos and it is not advisable to go against the church in Greece. He wears an earring , three years ago he acquired a lizard tattoo while he admitted on television that he has tried drugs in his youth. He has managed to stay dry for 20 years since doing rehab for alcoholism. A disarmingly straight forward person who gives politics a good name. I wish him the best. The eight o’clock news of ANTENNA started with the discovery of a weapons cache in Nea Smyrni, a southern neighborhood of Athens, quite upper class. The police are making arrests and holding back all information. Is it a strange ( to say the least..) coincidence that the arsenal and the arrests are made a couple of days before the anniversary of the murder of Alexandros Grigoropoulos by a police officer in Exarhia; it was this murder that started the riots all over Greece two years ago.